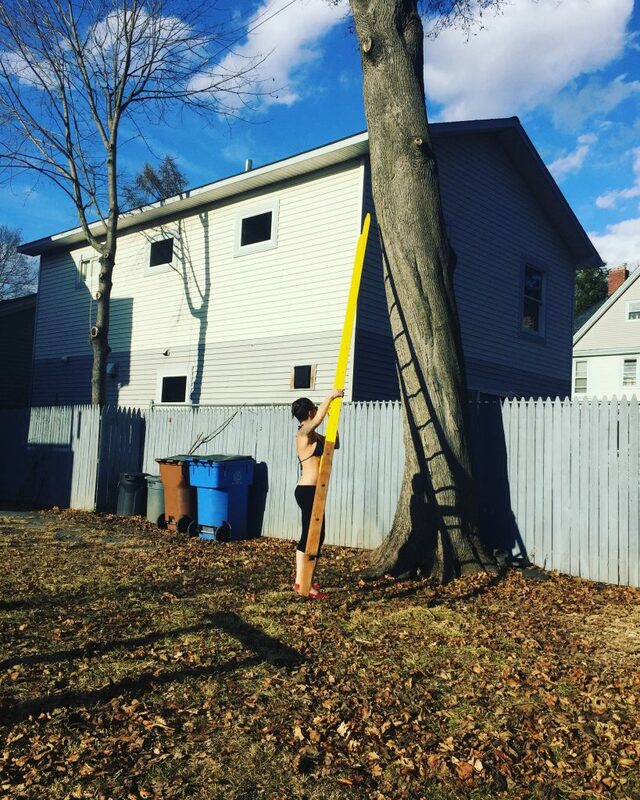 Yellow ladders in public spaces that inspire hope and resilience. 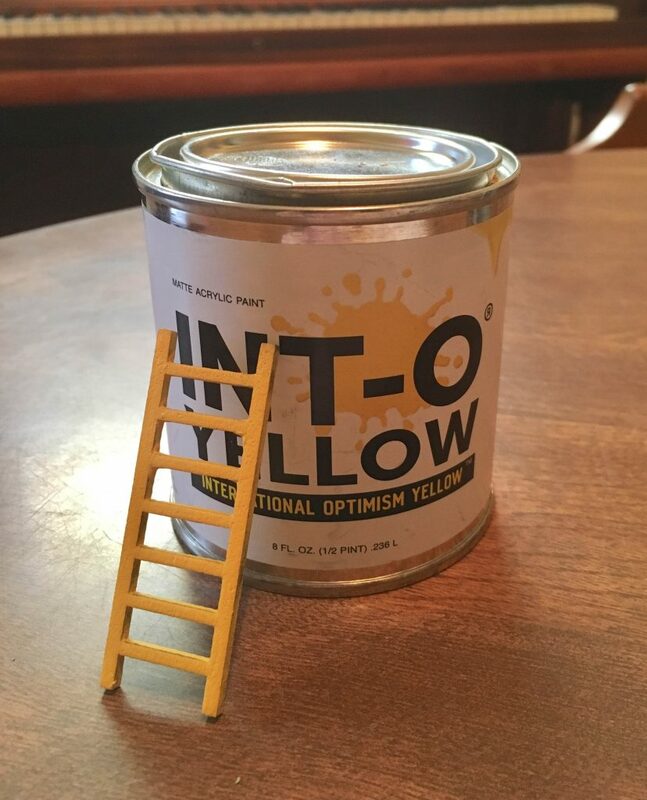 Uncle Riley gifted his friend and emerging artist Jess Edelman a can of INTOyellow paint in 2017. 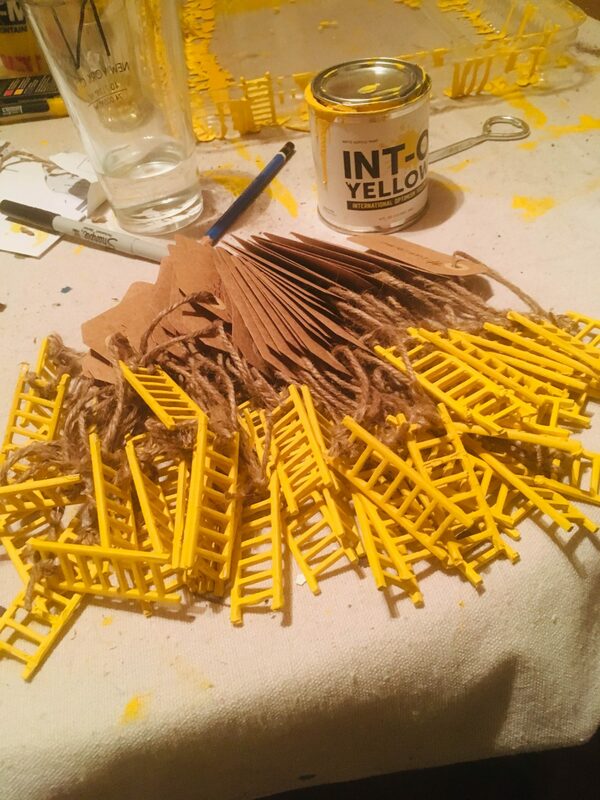 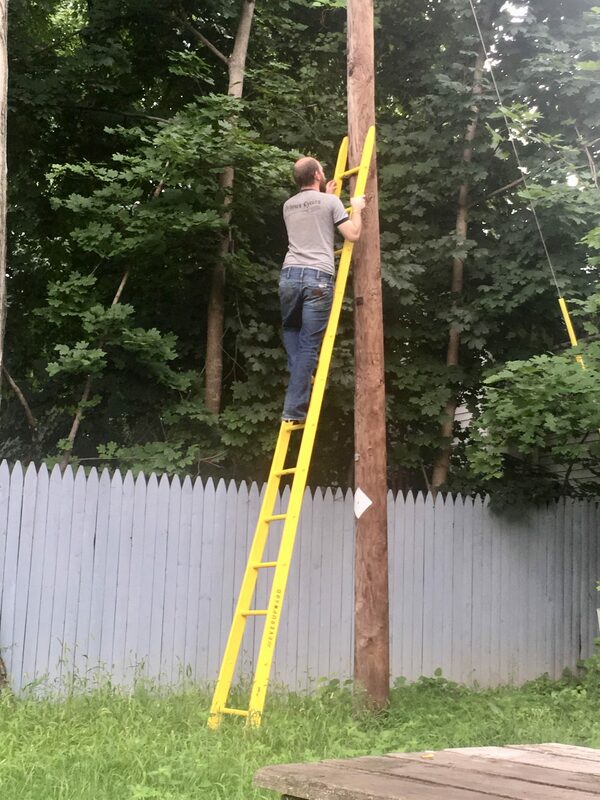 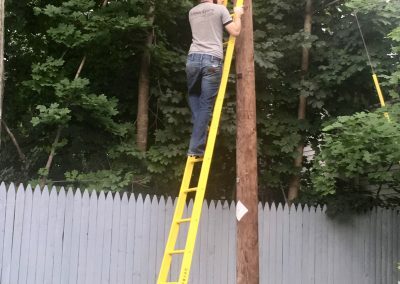 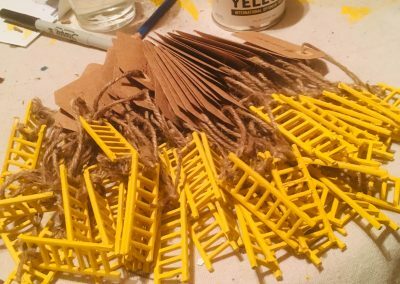 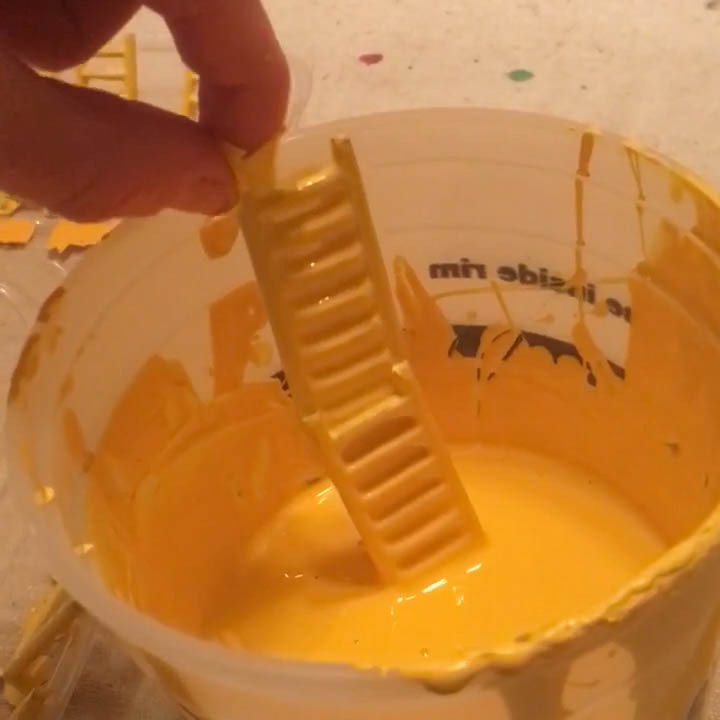 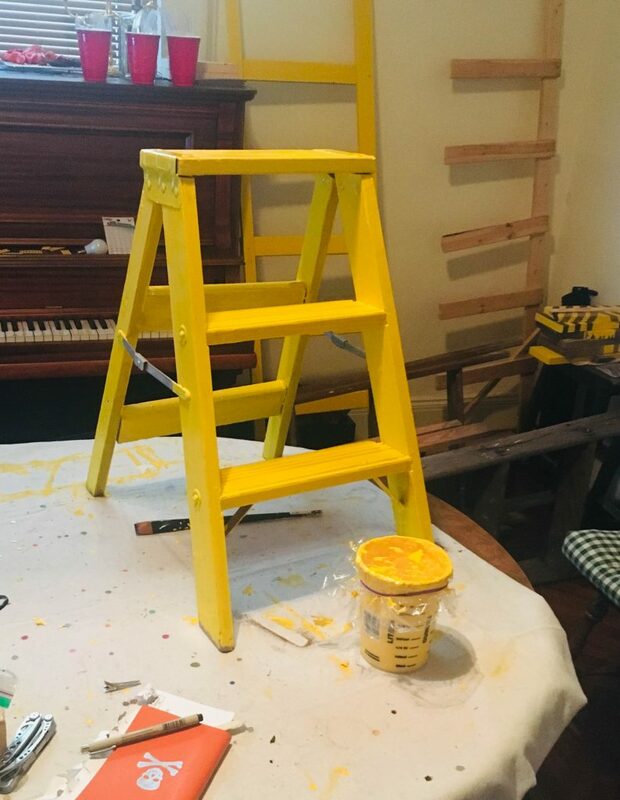 Later, Jess approached Uncle Riley with a vision of creating images of yellow ladders. 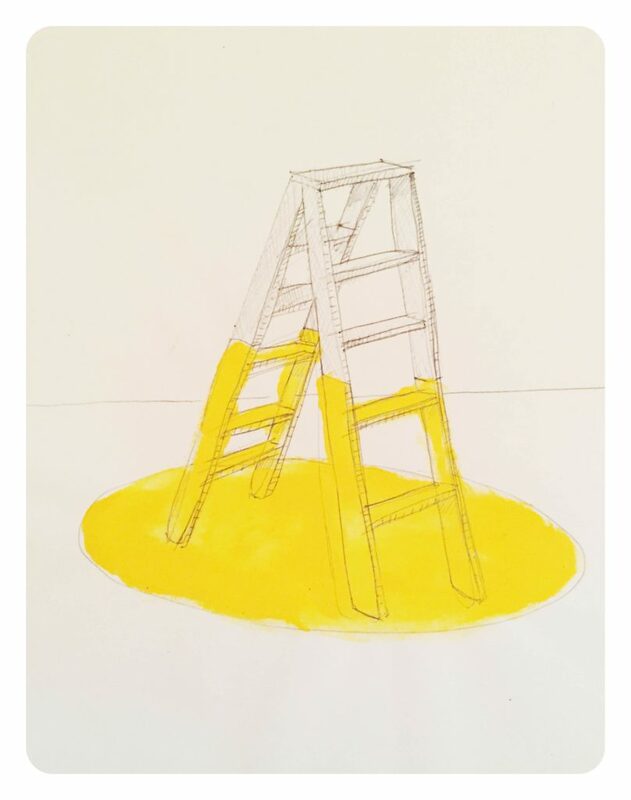 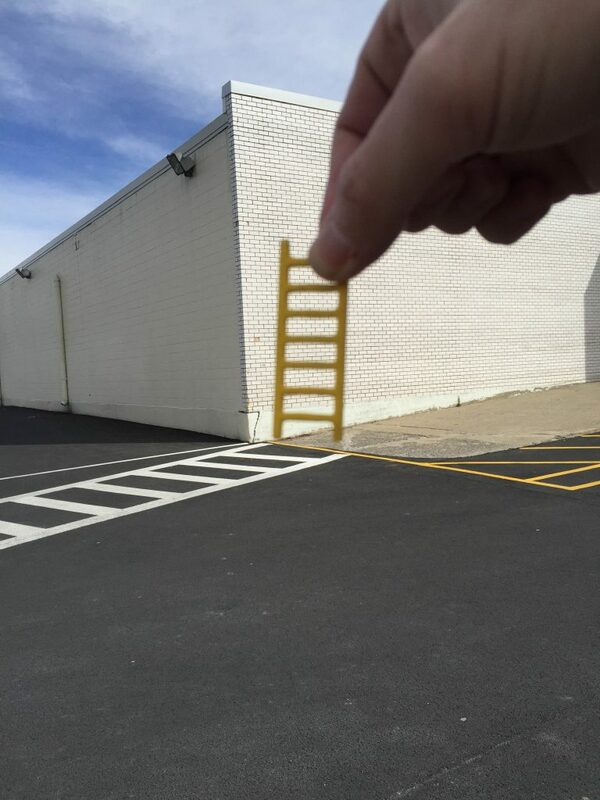 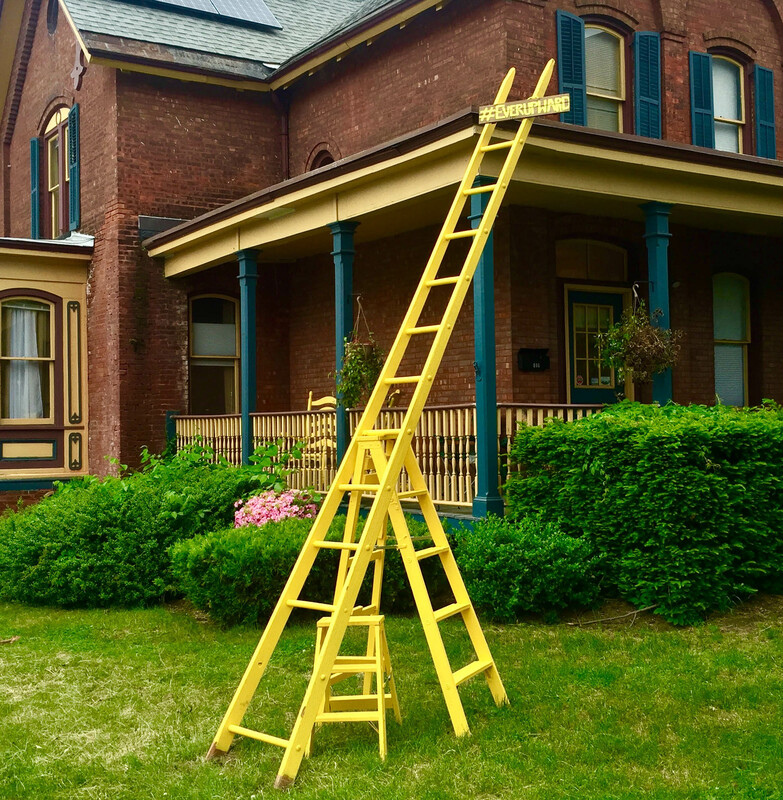 He showed her photos and sketches of his early sculptures of INTOyellow ladders which he placed in locations for people to climb to see “over walls and obstructions.” This shared creative vision inspired them to create #EverUpward and they have since collaborated on various yellow ladder installations both big and small. 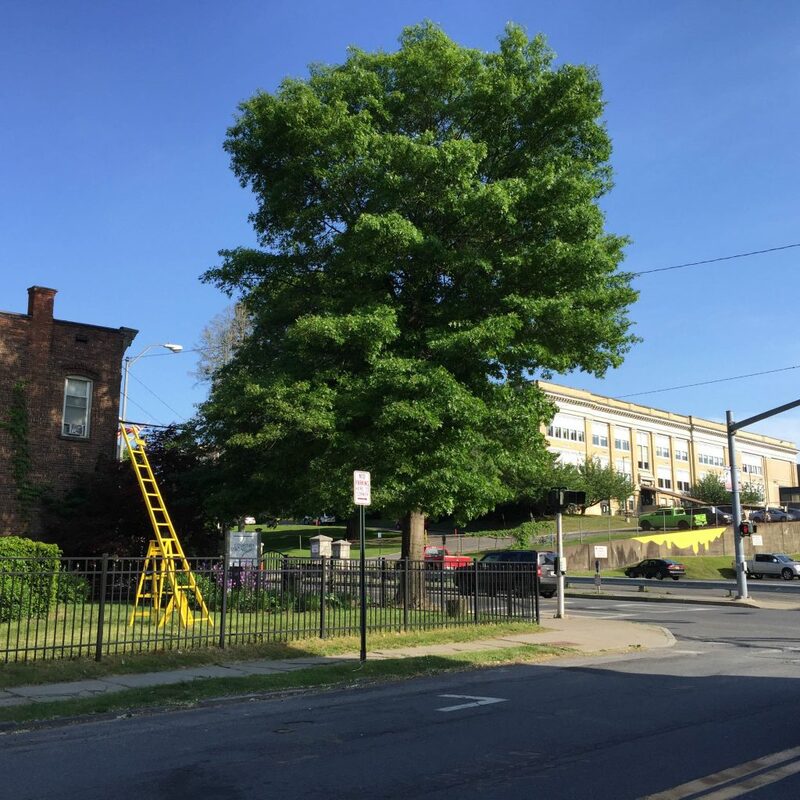 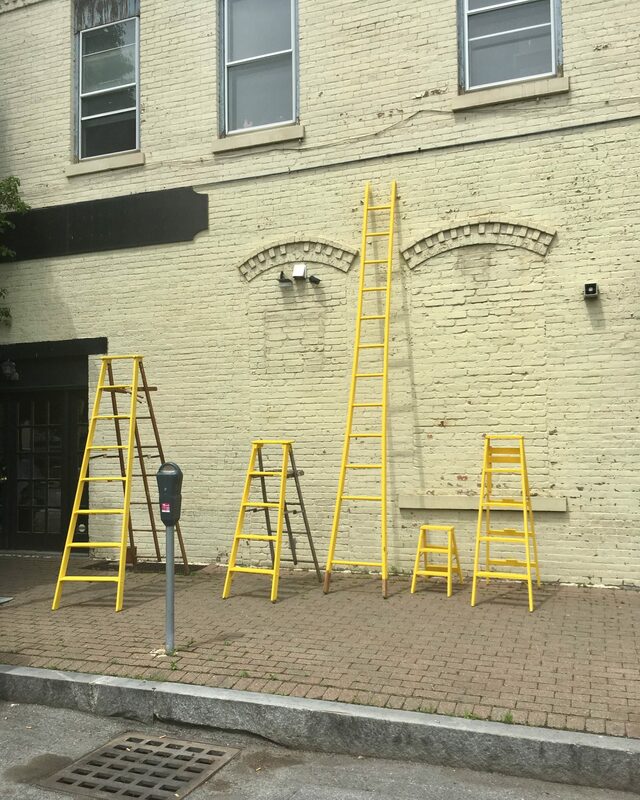 The iconic image of yellow ladders has been adopted by other local artists and has emerged as a symbol of hope, a metaphor of ascending or descending states of perception and emotion. 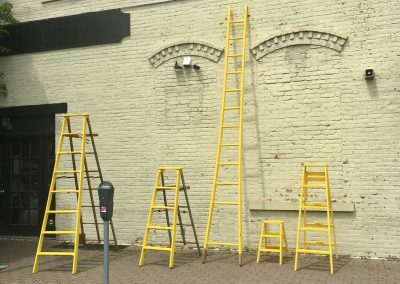 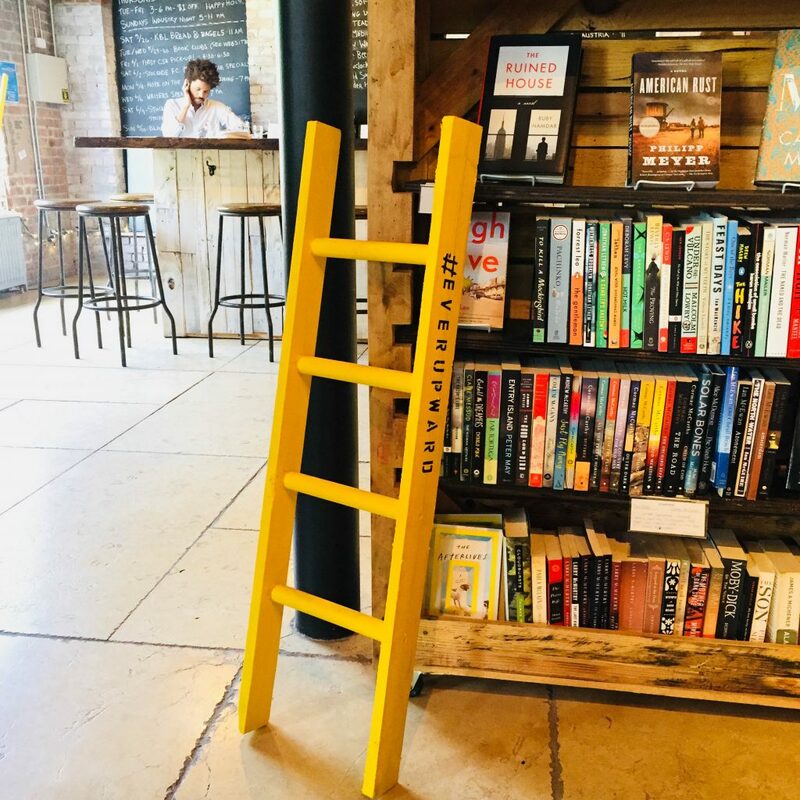 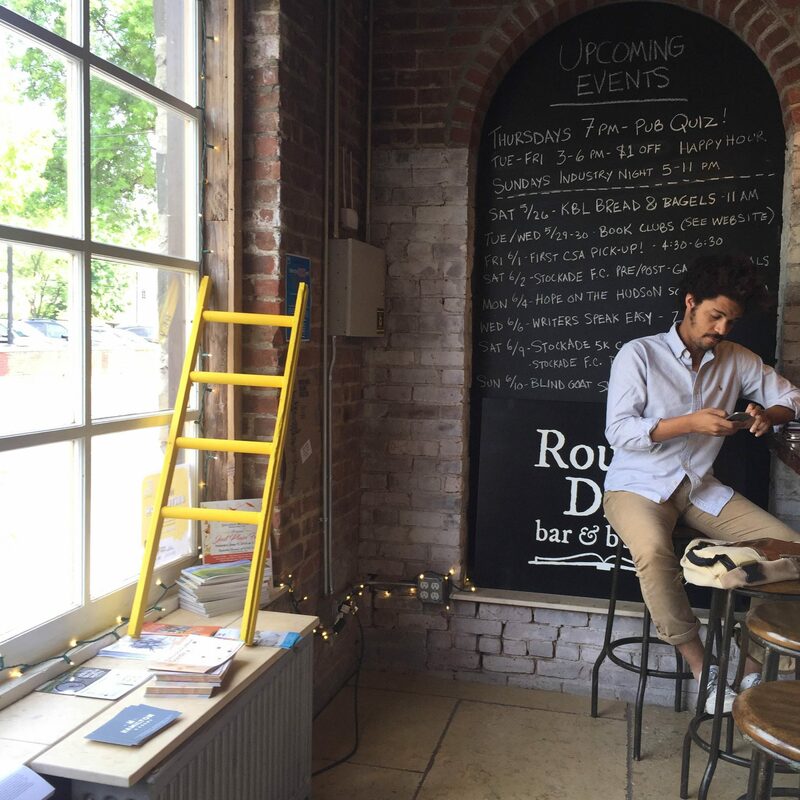 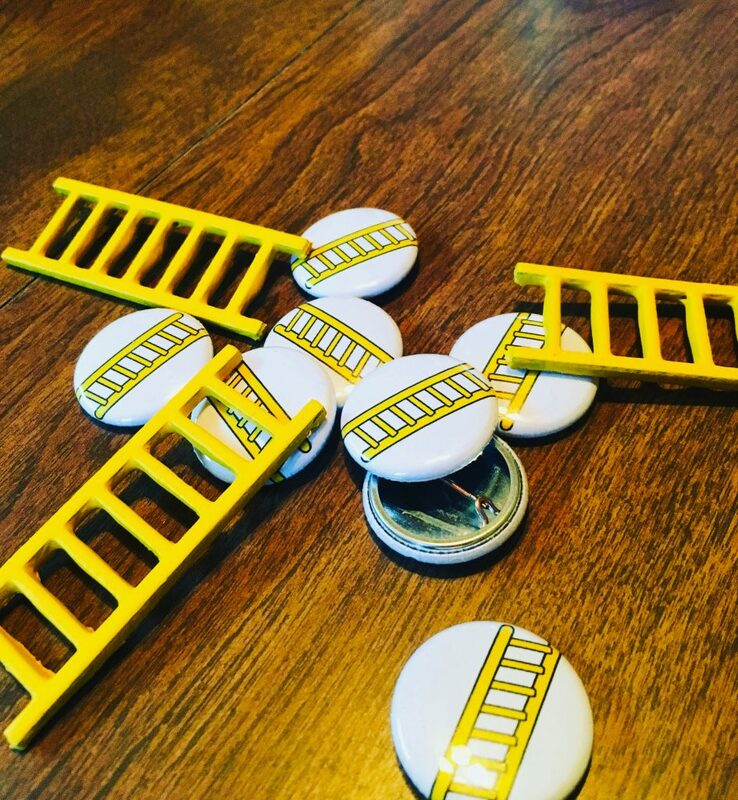 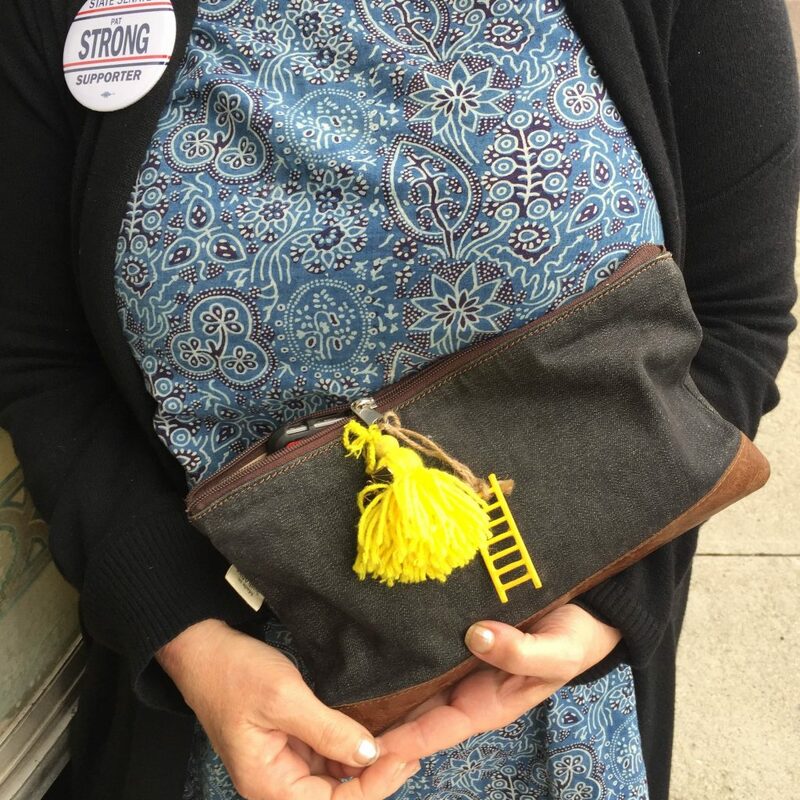 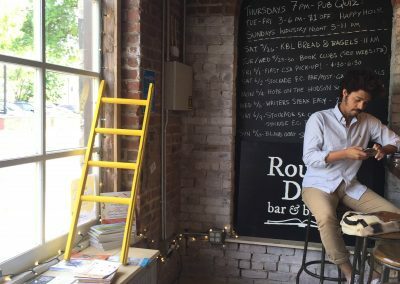 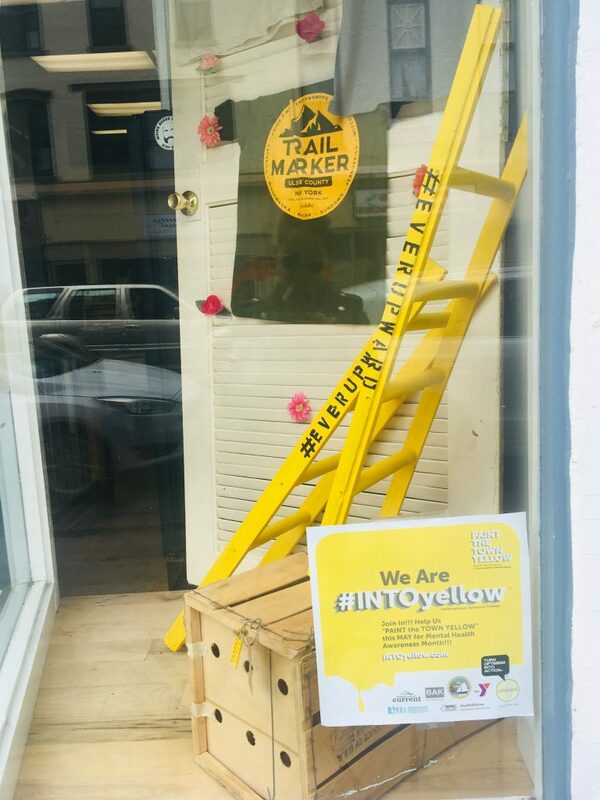 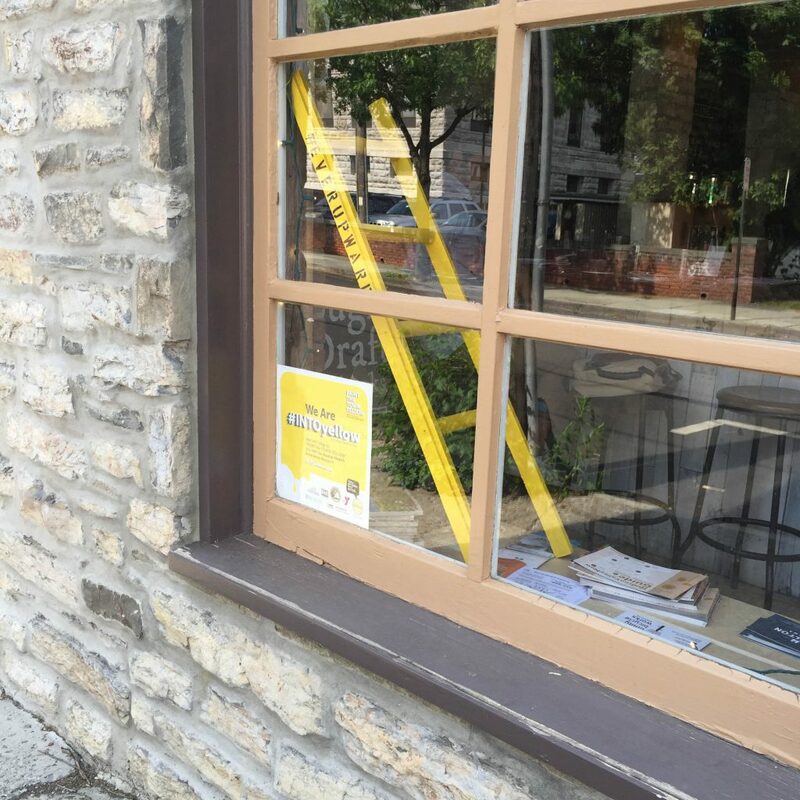 The ladders have appeared in businesses, galleries, and civic spaces in and around Kingston. 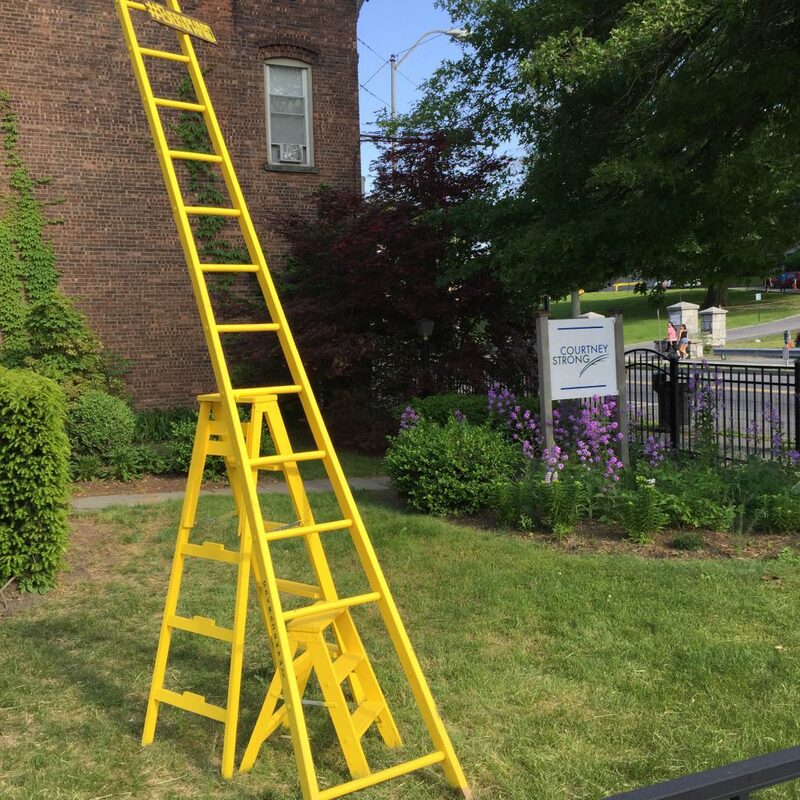 The name is inspired by “Excelsior,” which is the motto for New York State that translates to “ever upward.” Look for #EverUpward on Instagram.